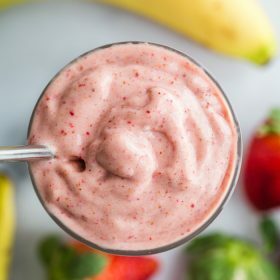 This is a basic recipe for a healthy strawberry banana smoothie! Add all of the ingredients in your blender and blend until creamy and smooth. Add additional liquid if needed to get the blender going.